Ong Ghee Bin and Ong Ju Xing shared additional insights about the campaign and the upcoming property launches in 2018. 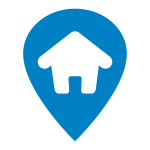 An easy entry package with 0% down-payment for property buyers. 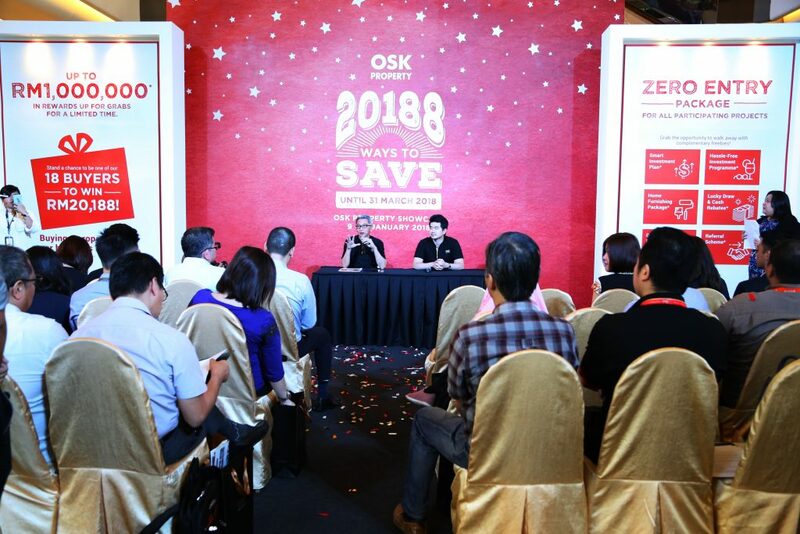 9 January, KUALA LUMPUR – OSK Property celebrates the 2018 New Year with the launch of ‘20188 Zero Entry’ campaign. 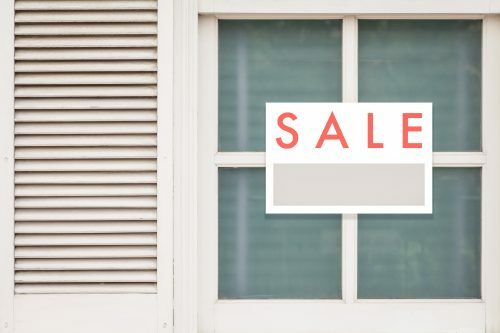 Aimed to provide home buyers and investors alike to own their dream property, this campaign gives an easy entry for purchasers with 0% down-payment, various financial fees waived and additional savings with a variety of smart investment plans. All purchases during this campaign period will also stand a chance to win RM20,188 in cash. 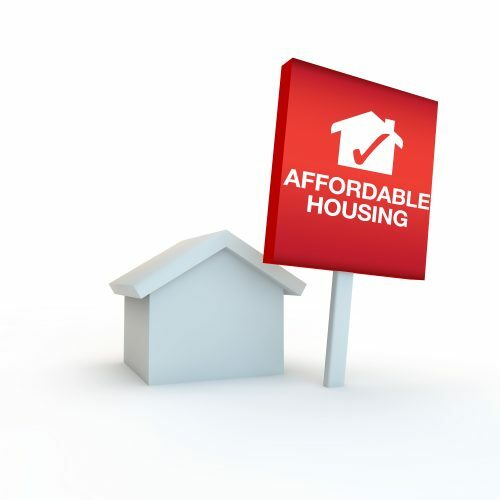 “Through our interactions with customers, we realised that the main challenge for homebuyers today in owning a property is often the high upfront costs that are involved when buying a home. We hope to provide a platform for easy homeownership and investment through our effort in this campaign by providing multiple programmes that fits them best,” said Ong Ghee Bin, Chief Executive Officer of OSK Property. Buying a property has never been this rewarding with over 12 OSK Property projects across Malaysia participating in this campaign including new launches. From the north of the peninsula, the sprawling township of Bandar Puteri Jaya in Sungai Petani to affordable lifestyle luxuries such as TimurBay in Kuantan as well as high rise city apartments in Klang Valley; OSK Property is proud to offer a myriad of residential solutions for our diverse clientele. On top of these attractive packages, OSK Property will be running monthly lucky draw during the campaign period, where a total of 18 lucky buyers will be rewarded with RM20,188 cash prize. Various events will be held at participating sales galleries in celebration of the ‘20188 Zero-Entry’ campaign providing opportunities for interested property buyers to learn more about the attractive deals and packages offered in this campaign. In delivering better lifestyle and customised experiences, OSK Property is expecting 2018 to be an eventful year with three new property launches; Ryan & Miho in Petaling Jaya, Iringan Bayu in Seremban, and Hika in Cheras. 1. Ryan & Miho – a pure residential living equipped with 2.2-acre of facilities podium is strategically located at the matured neighbourhood of PJ Section 13 with a direct link-bridge to Jaya One. The show unit will be officially opened for public viewing on 13 and 14 of January 2018, while the project launch is expected to be in the first quarter of 2018. 2. Iringan Bayu – Envisioned as a first-of-its-kind township in Seremban, Iringan Bayu features 770 acres of modern homes and green spaces designed for a whole new level of holistic living. At the core is the 22-acre lush green landscaped Verdant Central Park featuring natural and holistic living concept, green spaces and community well-being with well-planned facilities. This project will be launching on 27 January 2018. 3. HIKA – The final phase of You City @ Cheras set in the heart of the Cheras 9th mile features serviced apartments with excellent connectivity as the development is linked via a covered walkway to Taman Suntex MRT Station. The project is expected to be launched in the second half of the year. The only expenditure required to book an OSK Property during the ‘20188 Zero Entry Campaign’, which runs from January 1, 2018 – 31 March, 2018 is the ‘Booking Fee’, which starts from RM3,000 upwards. The primary target audience for the ‘20188 Zero Entry Campaign’ are 1st time home buyers and investors, catered too with affordable property priced from just RM340,000 upwards. To find out more about ‘20188 Zero Entry’ campaign, visit www.oskproperty.com.my/20188 or contact 03-7733 1231.